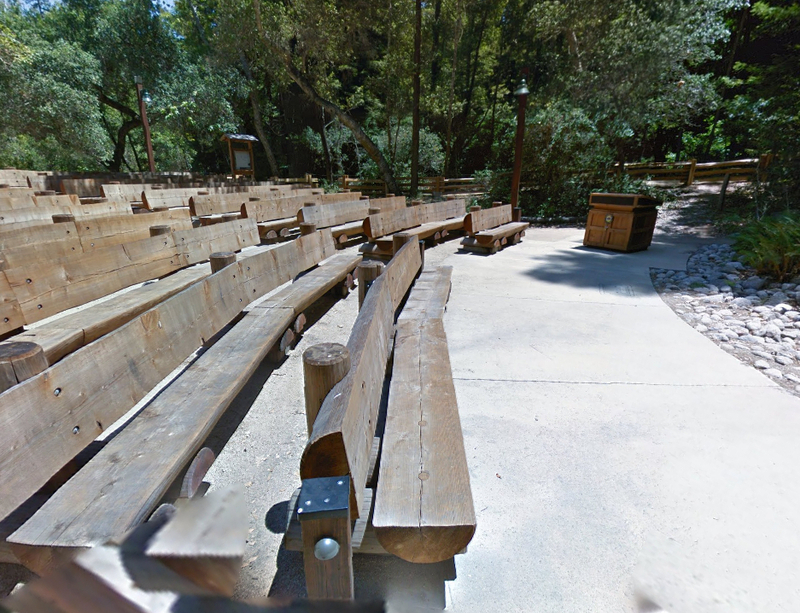 Pfeiffer Big Sur State Park Wedding Venue : For smaller weddings with 25 people or less, you can have your ceremony in areas such as a redwood grove or out by a waterfall outlook. For larger weddings there is a gorgeous, natural (and newly remodeled) amphitheater, a large banquet room (with high, wood beamed ceilings and just off of the pool area) and several picnic areas from which to choose. Permit fees start at $300 for small weddings (elopements with a max of 10 people including the officiant and photographer) and up from there. 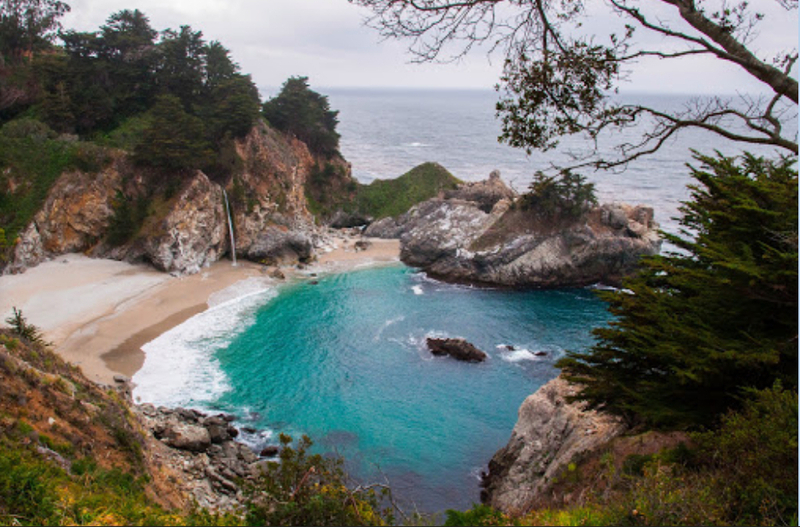 A Hotel in Big Sur : We stayed in a cabin at a newly remodeled hotel in Big Sur and fell in love with the peace and tranquility. Although they do larger weddings (up to 40 ppl with a permit fee starting at $3500), they will allow a small wedding with just the couple, the officiant and photographer, with no fee (as long as the couple is staying at the hotel). 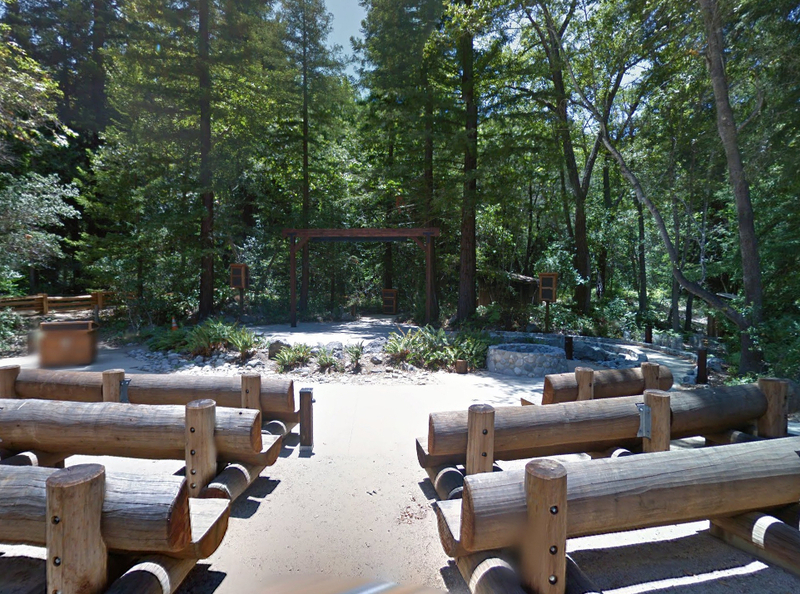 Have your ceremony on a lawn area amongst the rustling trees, colorful plants and a rushing river.